Your interaction with a terrarium shouldn’t end when you’ve tucked in the last plant and closed the lid. Terrariums are low-maintenance home garden decoration, but that doesn’t mean they should be forgotten. You’ll be so riveted by your crystal kingdom, that you’ll be inspired to invest plenty of time admiring the small masterpiece you’ve created. And while you’re at it, you might want to do a little upkeep to keep your small world thriving happily along. Most often, keeping a terrarium content is merely a matter of turning the terrarium occasionally. 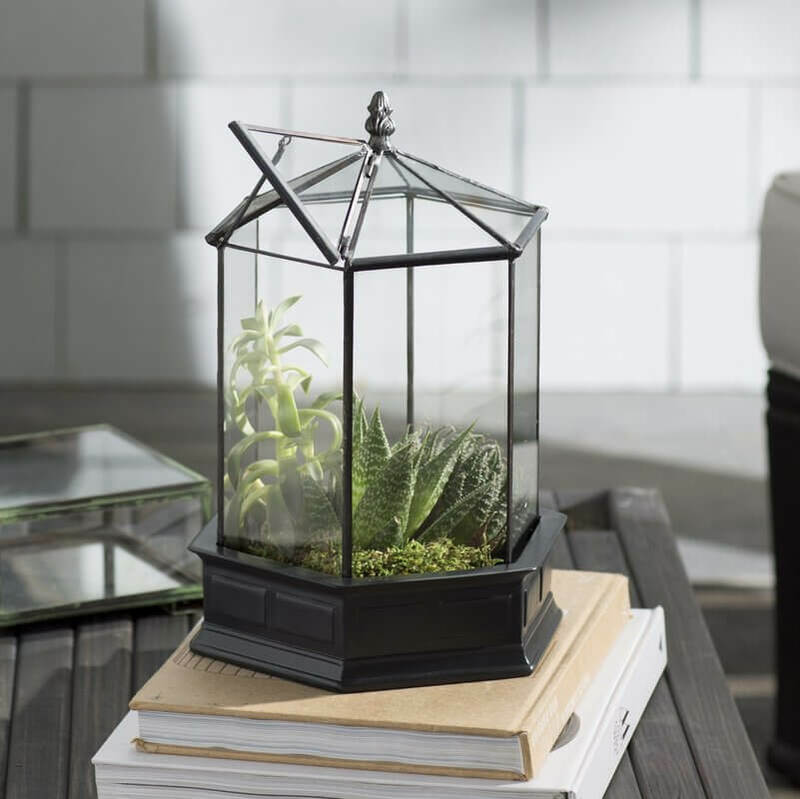 If the light source that’s illuminating the plants inside comes only from one direction, rotate your terrarium every week or so, and be mindful that the sun hasn’t shifted seasonally. 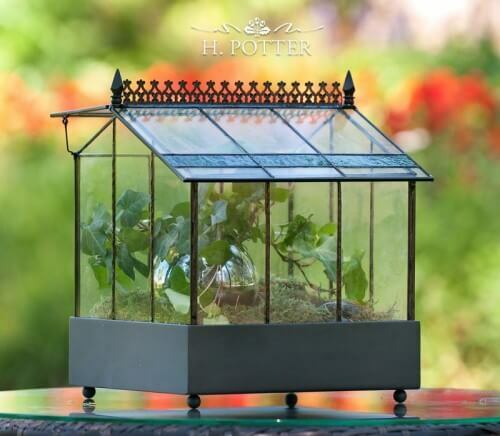 You don’t want your terrarium to be sitting in a very bright or too shady of a situation. Every two or three weeks, it’s wise to ventilate a closed terrarium for a few hours. After you’ve aired it out, close the lid again and wait to see if condensation builds up on the glass. If so, then it’s good to go for a while. If not, open it and give it a small drink of water. Fertilizing a terrarium is not necessary, after all, you want to keep the players in your mini world from growing into Jolly Green Giants. At the same time, make certain that no mold or fungus is threatening your miniature, peaceful kingdom. The instant you see mold or similar issues, mitigate the problem immediately by putting a tissue over the area. Then scoop it away in a manner least likely to release spores. Monitor the terrarium carefully for future outbreaks. When the plants inside a terrarium start encroaching on each other’s turf, divide a section of the plant (for a clean break, you might need to cut the part to be removed with a knife) or, if it’s more feasible, lift the whole plant, diminish it, and replant a portion. When replanting, take care to bury all the roots and firm them into the soil; that’s critical. And, always water a newly transplanted plant immediately after the transition. While you’re at it, clean the glass. Avoid using cleaning fluids of any sort, simply moisten a paper towel and wipe any grime away. Cleaning the glass should be done on an “as needed” basis, but address the chore fairly regularly. A few strategic swipes with a cleaning cloth will keep the terrarium plants healthy and give you a clear window on your small world.